Creative Learning Networks – Overview from Creative Scotland on Vimeo. Creative Learning Networks – Borders from Creative Scotland on Vimeo. Creative Learning Networks – Edinburgh from Creative Scotland on Vimeo. Creative Learning Networks – Argyll & Bute from Creative Scotland on Vimeo. Creative Learning Networks – Aberdeen from Creative Scotland on Vimeo. 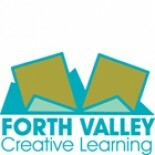 Creative Learning Networks – Fife from Creative Scotland on Vimeo.